The design of the Goelst 4800 track is makes it extremely stable and it also has an elegant look. It can be easily mounted in various ways on a wall or ceiling. A very popular track that can be used in a wide variety of situations, such as private homes, but also in office buildings and in the care sector. The 4800 can be forward or reverse bent to create attractive returns. 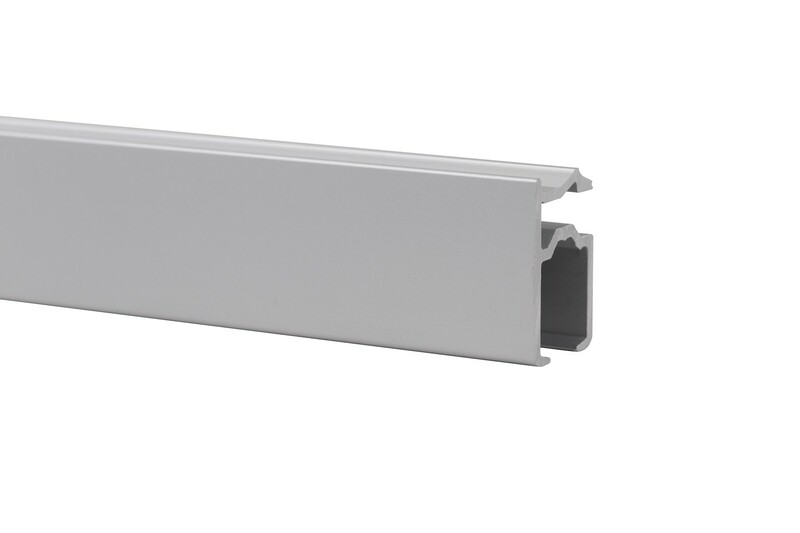 Tracks longer than the standard length can be joined together with connecting bridge 4852-N.
•	Track 4700 is compatible with the Goelst Flow system: gliders 4014-060 or 4014-080. 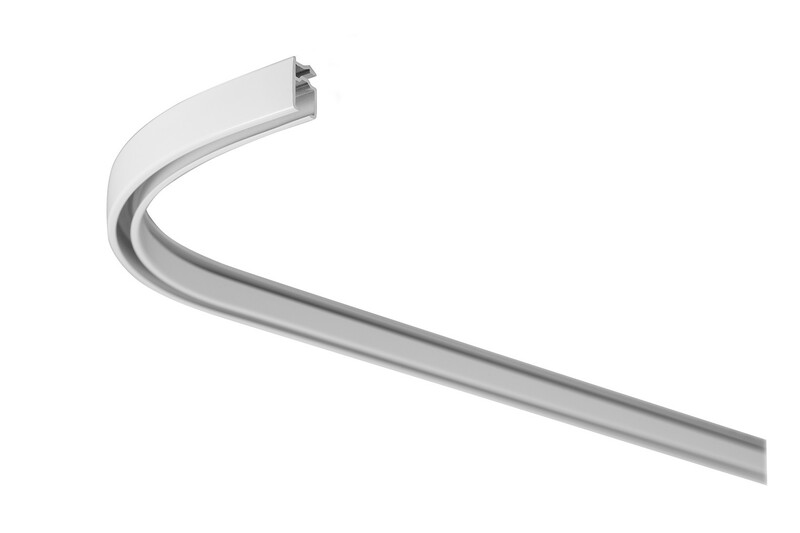 •	T-bar clip 2050-SYST should be used in combination with ceiling support bracket 5350 when fixing to ceiling tiles. 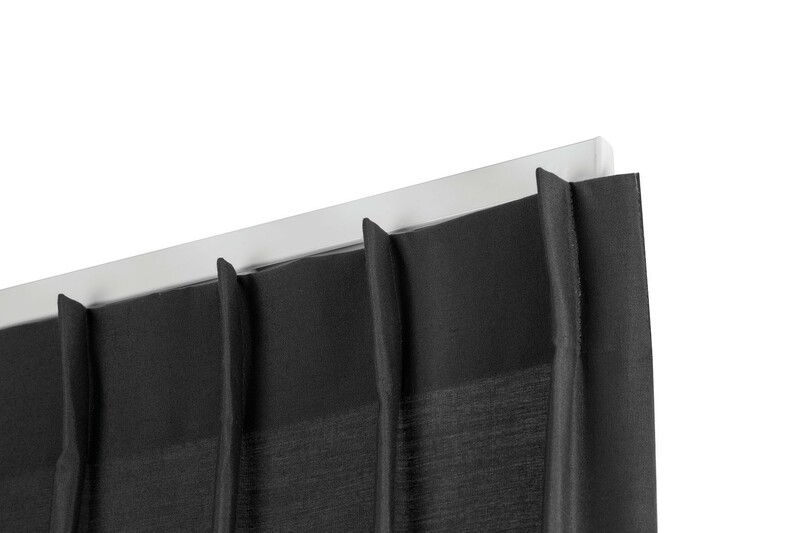 •	For fixing two curtain tracks perfectly to each other and only having to drill one row of holes, mount the ceiling support brackets on double fixing bracket 2216. •	Wall mounting with plastic wall support bracket 5351 2.7cm. •	When mounting at a distance from a wall, use extension brackets 2015 (5, 7.5, 10 or 15cm) in combination with ceiling support brackets 5350. 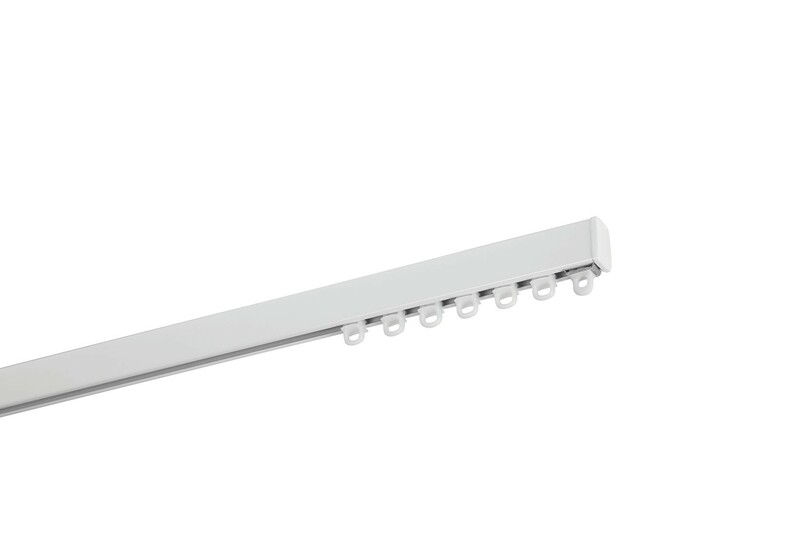 •	When mounting at a distance from a wall, use heavy-duty extension brackets 2018 (20cm) and 2019 (20, 25 or 30cm) in combination with ceiling support bracket 5350. 4800 track weight: 231 gr/m. Goelst self-lubricating gliders made from high quality plastic with added Teflon. Twelve 4010 gliders (special self-lubricating, plastic, UV-stabilised) per metre and two 4001 end stops plus two 4853 end caps per track length. Ceiling mounting with ceiling support bracket 5350 (the amount required depends on the system length). Connecting bridge 4852. 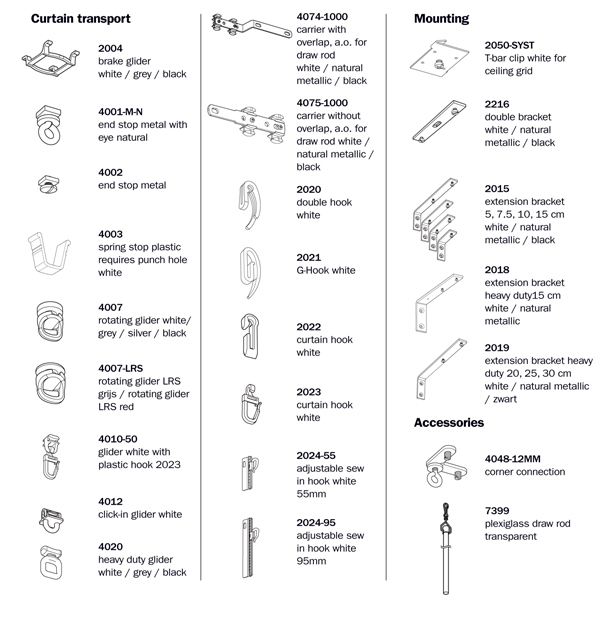 4010 gliders are available with various hook types. End stop metal with or without eye. LRS gliders 4007-LR or heavy-duty glider 4020. Glider stop 2004. Spring stop 4003. Overlap brackets 4074-1000 and 4075-1000. 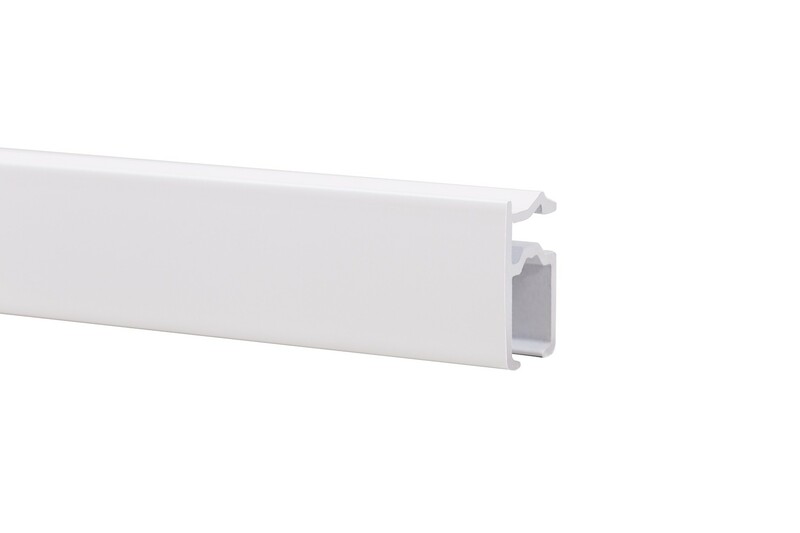 Wall mounting with wall support bracket 5351 or with extension brackets 2015, 2018 or 2019 (in combination with 5350): for different distances from the wall. General advice: place an additional bracket on the stacking side(s) and, if possible, a support point immediately before and/or after a curve.